Summer Deals For The Walt Disney World Resort! 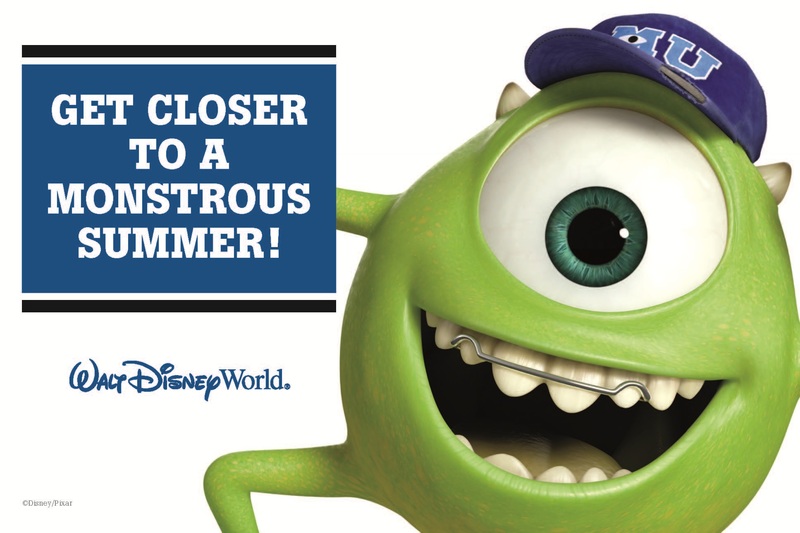 The best way to have a Monstrous Summer is to spend your vacation at the Walt Disney World Resort! Now you can receive discounts up to 30% off of the amazing Walt Disney World Resort hotels! There are even additional discounts available if you add at least 4 day Magic Your Way Tickets to your room reservations. Save up to 30% at select Walt Disney World® Resort Hotels for stays most nights 6/13/2013 - 8/14/2013. Book your vacation by 6/14/2013 to receive this offer. Discounts are off of the regular rack rate for the Disney World Resort hotel rooms. Package purchases are not required. Add a minimum of 4 day Magic Your Way Tickets to your room to make it a package and enjoy discounts on both your room and tickets!